A non-profit organization dedicated to sharing and saving seeds. 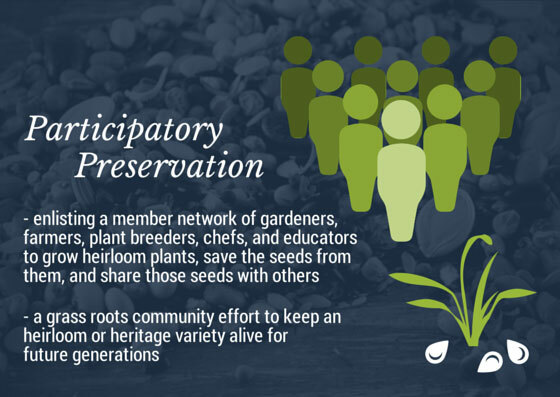 Our mission is to conserve and promote America's culturally diverse but endangered garden and food crop heritage for future generations by collecting, growing, and sharing heirloom seeds and plants. Please include the name of your publication or show in the subject of the email. Describe the piece that you would like to write, including any relevant deadlines or specific questions you would like answered. We'll be getting back to you soon to talk about your piece and any information you might need from us. In the meantime, feel free to use information found on this page, including all images excepting that of Martha Stewart, and credit them to Seed Savers Exchange. Let us know when your piece goes live and we'll be happy to take a look at it. Thank you again for your interest in Seed Savers Exchange! We rely on plant materials for clothing, for shelter, for transportation. We admire beautiful places because of what plants can grow there: the north woods, the savannah, the swamp, the desert. And most importantly, we eat plants. Plants determine the cuisine of a region. Plants make up over 80% of the human diet. Plants keep people alive. Seed Savers Exchange conserves biodiversity by maintaining a collection of over 20,000 different varieties of heirloom and open-pollinated plants, varieties with the ability to regenerate themselves year after year. These seeds (and tissue cultures or other plant materials, depending on how a plant reproduces) have the collective power to withstand unforeseen pestilence and plant disease, climate change, and limited habitat, and to stop culture-bleached dinnertime boredom dead in its tracks. Why do seeds need protecting? In the last century or so, the world has lost 75% of its edible plant varieties. The U.S. has lost over 95%. That means we only have 5% of the options once at our disposal to comprise most of what we eat. That might be hard to perceive when we have enough food on our plates, but consider this: According to the United Nations’ Food and Agriculture Organization, only five cereals make up 60% of our calories. A system that depends so heavily on so few crops is quite fragile. Think of the Irish Potato Famine – the use of only one variety of potato led to a catastrophe. In 1845, the introduction of a new fungus wiped out the primary source of food in Ireland, leading to the death or emigration of some one and a half million people. Industrial agriculture and the chemicals and machines that it employs have required that farmers, and, more often, scientists breed for uniformity in plants and animals. In the United States in particular, genetically engineered plant varieties have had a devastating impact on biodiversity. According to the USDA's Economic Research Service, since their commercial introduction in 1996, use of genetically engineered (GE) crops by US farmers has increased steadily. In fact, in 2013, 170 million acres of GE crops were planted in the US, seeds that are patented and cannot be saved and planted again next year. That’s roughly half of all American cropland. Seed Savers Exchange takes threats to biodiversity seriously. We maintain a collection of more than 20,000 heirloom and open-pollinated vegetable, herb, and plant varieties, and over 900 varieties of heritage apples. We take great care to ensure the health and viability of our collection for generations of growers to come. Each year, we grow out select varieties in preservation gardens to refresh our seed supply. We isolate varieties by distance or in isolation cages to keep bees and other insects from cross-pollinating them, and our staff pollinates these isolated plants by hand. To maintain accurate records of each variety’s traits, our Evaluation Team grows out other varieties and keeps careful track of them, updating descriptions, and checking for inconsistencies. They taste test the beans, count the seeds inside the peppers, examine the hairs on the carrot greens, and take careful notes. But Seed Savers Exchange cannot do our best conservation work without our members’ help. We rely on a two-pronged method we call participatory preservation. We keep the bulk of our collection in an underground freezer vault at Heritage Farm, with back-up collections in Ft. Collins, CO, and Svalbard, Norway, according to international genetic preservation standards. This practice is called ex situ preservation; seeds are protected in gene banks, and we grow them out as needed to protect the health of the variety. Ours is the largest non-governmental seed and plant collection of its kind in the United States. Ex situ preservation is important, but it isn’t sufficient on its own. We combine our ex situ preservation efforts with in situ preservation – Gardeners grow out a variety and save its seeds, allowing the variety to adapt to the growing conditions in its agro-ecosystem. Without in situ preservation, we miss our chance to select seeds each year for their ability to thrive in changing conditions, leaving ex situ preservation as a sort of museum for varieties that haven’t changed with their environment. Seed Savers Exchange members play an enormous role in preservation by growing out heirloom varieties in their gardens across the country. The combination of in situ and ex situ preservation allows Seed Savers Exchange to protect more genetic diversity more effectively than would either method on its own. An Apple a Day, for 47 Years: Apple Picking Season Is Here. Don't You Want More Than a McIntosh? Looking for some photos to use with your piece? Click above to download photos of our work and farm. Please credit "Seed Savers Exchange" when you use a photo. Since in situ preservation is a crucial element of our conservation efforts, Seed Savers Exchange must work to get seeds into the hands of as many gardeners as possible. We facilitate a network of approximately 13,000 members who share and save seeds through the Seed Savers Exchange Yearbook and Online Seed Exchange. The exchange is available online and in print to encourage seed savers of all generations to participate. Members from across the world share their seeds, and Seed Savers Exchange offers many varieties from our own extensive Heritage Farm Collection. In 2014, the exchange featured nearly 20,000 listings. Anyone can browse the exchange online, but only members can request seeds. To reach gardeners outside our own membership network, we also publish an annual seed catalog featuring over 600 varieties. Anyone can request a free catalog or shop for seeds and other merchandise in the online catalog at seedsavers.org. The catalog offers descriptions of all 600+ varieties and tips for home gardeners who wish to harvest and save their seeds for the next year. Proceeds from catalog sales enable us to pursue our mission of preserving and distributing heirloom seeds. Saving seed is a fairly simple idea, but we know that even some lifelong gardeners often don’t realize that they can save seed from year to year. Still fewer gardeners know how to start. Once gardeners have access to our heirloom seeds, our mission is to make sure they know what to do with them. We reach out to growers in a number of ways. Events: We host numerous events at our home on Heritage Farm each year, allowing gardeners hands-on training and firsthand experiences. Events range from tomato tastings and concerts to our three-day Seed Saving School. Community Seed Resource Program (CSRP): One major deterrent to seed saving is the lack of community experts. Seeds Savers Exchange partners with Seed Matters on the Community Seed Resource Program to provide community groups with tools and guidance for creating seed-focused events, exchanges, libraries, and gardens. Participants learn to create locally adapted varieties and secure healthy food and traditions to pass on to their neighbors and the next generation. The Heritage Farm Companion: Members have access to our award-winning quarterly publication, which offers in-depth articles, quick seed saving tips, and insight from the foremost figures in the seed saving movement. Online Resources: In addition to the actual seed swap, gardeners who visit the online seed exchange site will find tutorials, webinars, and seed histories to deepen their understanding of the seeds and how to go about saving them. Members can swap gardening wisdom in our online forums, and anyone can keep up with the latest seed saving news and helpful tips on our blog. Learn more about membership benefits at seedsavers.org/memberships. 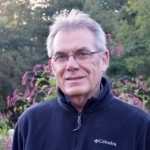 Seed Savers Exchange was founded in Missouri in 1975 by Diane Ott Whealy and Kent Whealy. Diane's grandfather, who was terminally ill, entrusted to them the seeds of two garden plants, Grandpa Ott's morning glory and German Pink tomato. These seeds, brought by Grandpa Ott's parents from Bavaria when they immigrated to Iowa in the 1870s, became the first two varieties in the collection. From there, Diane and Kent formed a network of gardeners interested in preserving heirloom varieties and sharing seeds. Today, with 13,000 members and 20,000 plant varieties, Seed Savers Exchange makes its home on 890 beautiful acres in Winneshiek County, Iowa, at Heritage Farm. 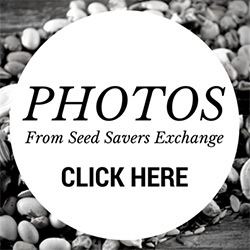 Sign up with your email address to receive news and updates from Seed Savers Exchange.